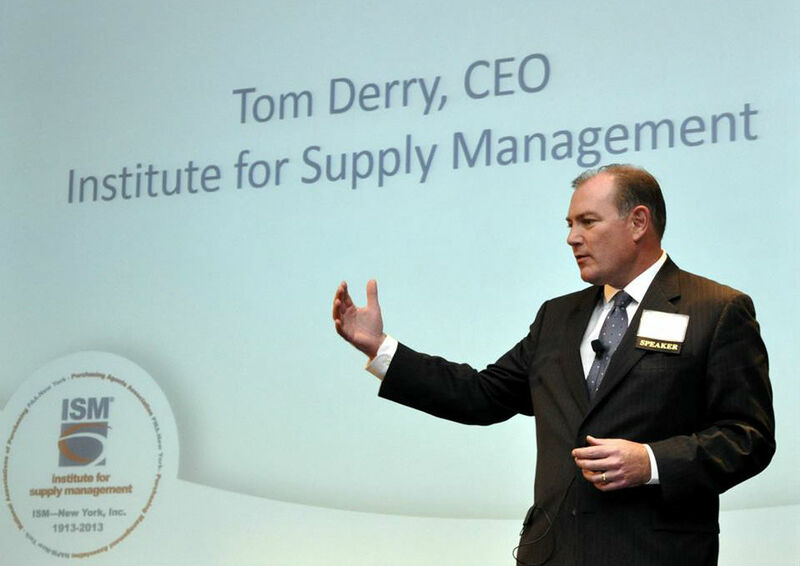 Last week Procurious was fortunate enough to catch up with Tom Derry, the CEO of the Institute for Supply Management. In this, the first-part of our three-part interview, Tom discusses the changes he’s witnessed in the function over recent years and highlights the unique opportunities that make procurement and supply chain such great fields to work in. Procurious asks: For those of us that aren’t familiar with ISM, perhaps you could provide some background to the organisation and its goals. Tom Derry: ISM is the world’s first and largest procurement and supply chain network. We’ve recently celebrated our 100th anniversary. We specialise in providing training and development for the procurement and supply chain community. We provide customised training to organisations to guide them through their procurement and supply chain strategies. While we’re based in the US, we are a truly global organisation. The second largest group of ISM certifications holders are in China, followed closely by South Korea. Our global growth is impressive with more than 50 per cent of certification now coming from outside of the United States. Procurious: You’ve held the role of CEO at ISM for three years now, how have you seen the profession progress over that time? Tom: There are a couple of obvious themes here. The first is that, it’s true that the role of procurement and supply chain professionals has become more strategic. Companies are competing more and more on the basis of how well they run their supply chains. I think it’s fair to say that the 20th century was the century in which marketing was the driving force behind organisational success. More recently, we’ve seen the ability to outcompete in the supply chain space as the critical factor for achieving business success. This is particularly true in our increasingly globalised economy. Another shift I’ve witnessed is a move away from our focus on pure cost reduction. Over the last 30 years, as global economies have developed, manufacturing has become more globally distributed. The clear motivation for this was to find lower cost producers, lower labour costs, labour inputs and lower cost of materials. It was obvious that, for a time, we were all focussed on cost reduction. We’ve done a great job of capturing that opportunity but now it’s time to shift our focus. Now, we need to focus on how procurement and supply chain can impact the top line. The answer appears to be through the innovation that lies within our supply bases. A major change in the way that companies are doing business today is in the way they are organised. Today’s firms aren’t vertically integrated any more. If you’re going to get innovation in a modern business, it’s going to come from your supply base. Some companies still do it the old fashioned way, but the new model is – we are a marketing company – we’ve got a brand and we don’t manufacture anything – we outsource manufacturing. In this model, innovation really does have to come from the supply base. To that end, there needs to be a shift away from beating-up suppliers on cost – towards working with them on generating innovation and growth. Procurious: Now looking to the future, what is it that most excites you about the procurement and supply chain profession? Where do you think our opportunities lie? Tom: If I was 25 again, I couldn’t think of a field that I would personally find more fascinating than a corporate career in procurement and supply chain. Here’s an opportunity to be based in almost any region you choose. You’ll learn new cultures and dramatically impact the success of the business that you work for. You’ll be working on some of the most interesting and creative projects your firm is involved in. In other professions, like accounting, you have a strong understanding of what you’ll be doing every day. In supply chain, one day you’re going to be making the business case for locating a manufacturing facility in a new location. The next day, you may be dealing with political risk and its impact on operations in a given geography or getting an opportunity to talk to a prospective new supplier with some amazing new technology. So you’re really on the forefront of the business, both in its current positioning and also in the way it plans for the future. This means that new skills need to be deployed. The level of business acumen has to be much higher than it was historically. You have to understand how markets are moving and what is happening with the commodities you source and the services you buy in a global context. You have to understand the trends of foreign exchange. You have to understand where your company is headed, and what markets you want to compete in in the future and position your company to be able to do that in three to five years. In the past, procurement and supply chain have been seen as backward looking functions. It was our job to get the most effective pricing put in place to support the existing legacy business processes. Now we are thinking about and acting on the future of our businesses. Business acumen, understanding and strategic planning are three skills that I believe are critical for successful procurement professionals. Look out for Part 2 of our interview with Tom Derry next week.